Episode 4.14 "Earth's Last Stand"
Fugitoid shares a terrible secret from his past as the team arrive at Earth. Episode 4.13 "The Ever-Burning Fire"
The team face a tough quest as they set out to obtain the last Black Hole Generator piece. Episode 4.12 "The Evil of Dregg"
Raph loses his fighting power, but he must work through this in order to rescue his brothers. TMNT 2012, Episode 4.11 "Revenge of the Triceratons"
Episode 4.11 "Revenge of the Triceratons"
Donatello's confidence drops around Fugitoid, and then the Triceratons test Donatello's wits when they launch an attack. Episode 4.08 "The War for Dimension X"
The Ninja Turtles must gain the trust of the Utrom Council in order to find the next piece of the black hole generator! 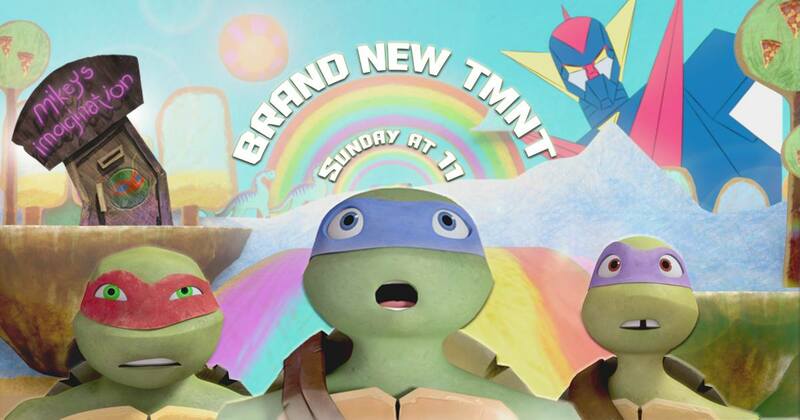 TMNT 2012, Episode 4.06 "Journey to the Center of Mikey's Mind"
Another Sunday, another new episode! Be sure to watch tomorrow! Episode 4.06 "Journey to the Center of Mikey's Mind"
Mikey's mind gets invaded by tiny aliens, and the turtles must hunt them by trekking through the wacky world of Mikey's subconscious. 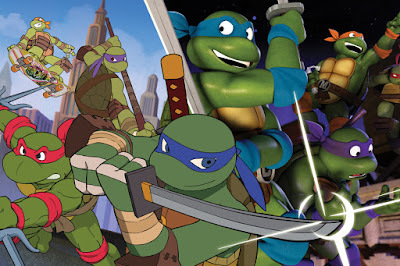 TMNT 2012, Episode 4.05 "Riddle of the Ancient Aeons"
New year, new episode! Booyakasha! Episode 4.05 "Riddle of the Ancient Aeons"
The turtles visit a corrupt planet. 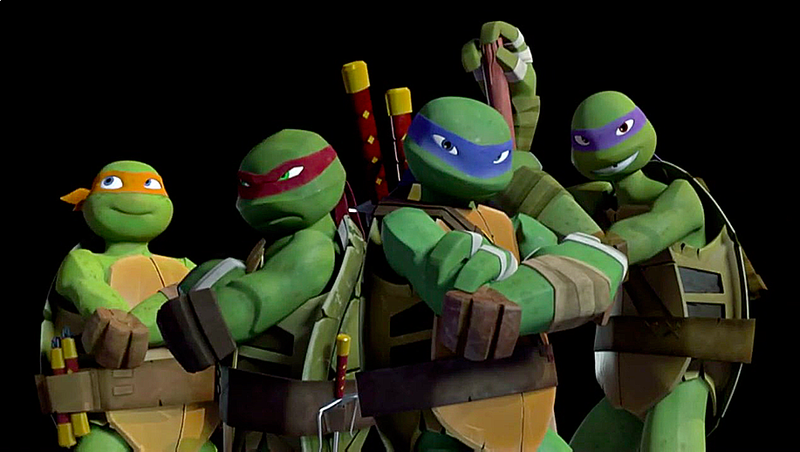 TMNT 2012, Episode 3.25 "Annihilation: Earth!" Hold onto your shells! If you haven't yet seen it online, the massive season 3 finale air tomorrow! News of Kraang's return to Earth reaches the turtles. Season 4 starts in October! TMNT 2012, Episode 3.24 "Dinosaur Seen in Sewers!" New episodes continue tomorrow! Woohoo! Episode 3.24 "Dinosaur Seen in Sewers!" Raph befriends Zog, and alien Triceraton, but he may have gotten in over his head with this friendship. TMNT 2012, Episode 3.23 "The Fourfold Trap"
Episode 3.23 "The Fourfold Trap"
An unidentified foe lures the turtles into lethal traps. TMNT 2012, Episode 3.22 "The Creeping Doom"
New episodes continue Sunday! Woohoo! Episode 3.22 "The Creeping Doom"
An accident occurs, and Donnie's intelligence is affected by it. TMNT 2012, Episode 3.21 "Attack of the Mega Shredder!" Episode 3.21 "Attack of the Mega Shredder!" Leo enters Shredder's lair solo and encounters the hugest mutant threat he's ever seen.